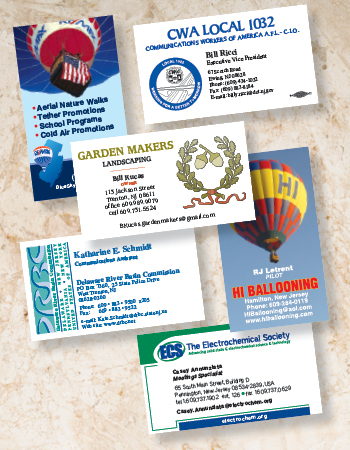 Get your organization's name out there with custom, personalized business cards that you’ll be proud to hand out. You can trust Trenton Printing for all of your business card needs. From a basic black-and-white business card to an impressive, full-color design—we’ll give you the credible look that embodies your brand. Get the type of business card you’re looking for: Single-Sided Business Cards, Double-Sided Business Cards, Custom Business Cards, Embossed Business Cards or Glossy Business Cards.